Back in Stock later this week. 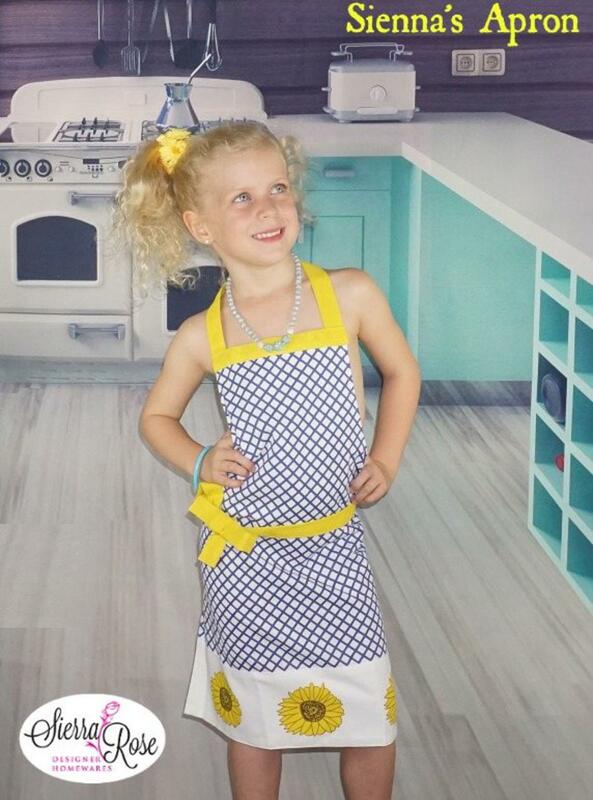 This Retro dark blue gingham Kid's Sunflower Apron features bright funky Yellow Sunflowers. Ties at the neck and waist. As a general guide our Kid's Aprons fit 3-10 year olds. A matching Mummy apron is available too (under our Mother Daughter Apron Section).